It's been the talk of the waterfowl community for the past 10 years, but this time, it just may happen if President Barack Obama gets his way. At the request of the U.S. Fish and Wildlife Service, Obama added a provision to his 2013 budget that would increase the cost of a Federal Migratory Bird Hunting and Conservation Stamp, better known as a duck stamp, by $10. If it passes, it would be the first hike since 1991, the longest span ever without an increase. A price hike has been proposed for the past seven to 10 years, said Vaughn Collins, director of government affairs at the Theodore Roosevelt Conservation Partnership. Whether an increase actually comes to fruition this year remains to be seen. Collins says there's some opposition in Congress, mostly from Republican lawmakers who don't like the idea of raising fees of any type. As of mid-April, it was simply too early to tell if the budget had a chance of passing. The good news, however, is if the proposal does go through, the bill includes a stipulation that future increases will be left up to the Department of the Interior instead of Congress. "It won't have to go through the drawn-out legislative process like it has in the past," says Collins. It's not just Republican budget hawks who cringe at the idea of bumping up taxes and user fees. At least a few hunters are troubled by the proposed increase, as well. 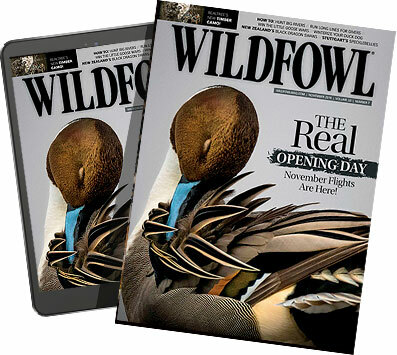 In February, Wildfowl posted a similar story on the duck stamp price hike to its website, generating some debate amongst waterfowlers. "Hunting is rapidly becoming a rich man's sport," wrote one protestor. "Fees are going up like crazy and new ones added...Screw you who want higher fees." Others are somewhat less candid in their opposition, offering reasonable objections based on current economic conditions. "It costs enough as it is. If the economy improves (and it won't at this rate) then a small increase, otherwise leave it alone," said another poster on Wildfowl's Facebook page. There's no question hunting, waterfowl hunting in particular, is becoming more expensive each year. Considering the cost of decoys, non-toxic shells, boats and gas, along with mandatory licenses and voluntary trespass or lease fees, it's no wonder some hunters balk at the notion of a price hike. But there is far more support within the waterfowl community than protest. Ducks Unlimited and Delta Waterfowl support the $10 increase, as does TRCP, Pheasants Forever and a variety of other pro-hunting conservation organizations. "What's an extra 10 bucks?" asks Minnesota insurance salesman and waterfowl hunter Ben Cade. "Waterfowlers like to invest their money in items that will produce more birds in the bag for them. "What better investment than $10 towards sanctuaries for waterfowl, which, in turn, will provide more hunting opportunities? Ten bucks is half the cost of a box of shells. I think duck hunters should buy two as a way of helping ducks even more." Federal duck stamp money doesn't just go to sanctuaries in the form of national wildlife refuges. The money raised goes to the Migratory Bird Conservation Fund first, which then distributes it to entities such as the National Wildlife Refuge System and Wetlands Production Areas, both of which are overseen by the U.S. Fish and Wildlife Service (a near-equal amount of funding for the MBCF comes from import duties on firearms and ammunition). Many of those refuges are open for waterfowl hunting, and almost all WPAs are open to public hunting. "Some of the money goes to the various fees tied to land acquisition, like surveys and transaction fees, but those are a necessary part of any land purchase," said Collins. Overall, an estimated 98 percent of duck stamp dollars go directly to land purchases and improvements. It's one of the most efficient government-run programs. A $10 increase would translate to an additional $18 to $24 million in revenue, leading to an estimated 7,000 additional acres purchased annually and 10,000 more acres placed in permanent conservation easements each year. Although those easements are typically on private land, they often protect the most critical and the most threatened habitat. "We are losing a lot of high-quality habitat at a pretty high rate right now," says Collins, "so the sooner we can start acquiring additional acreage, the better off we will be in the future." Land certainly isn't getting cheaper. Eric Alvarez, the U.S. Fish and Wildlife Service's chief of the division of realty, says it's difficult to put a specific rate of increase on land values because there are so many variables. However, he pointed to a couple of regions to illustrate how much a stamp price hike could have helped if it was passed sooner. "Land adjoining Blackwater National Wildlife Refuge (on Maryland's waterfowl-rich eastern shore) was valued at about $1,250 an acre in 1992. Now, it's selling for $2,500 an acre," he says. "Land around the Cache River refuge in Arkansas was selling for $1,000 an acre in 1992. It's $2,500 an acre now. It's even worse in the northern prairie region, thanks to high commodity prices." Even conservation easements have increased. Alvarez adds easements in California's northern Sacramento Valley have increased 15 percent in recent years. But instead of looking backwards, Collins says we should look forward. Passing this increase will not only result in more waterfowl habitat and more birds, it will create more places to hunt. Isn't 10 more dollars worth it?